Yep, it's old news now but there's not much else to say at the moment! 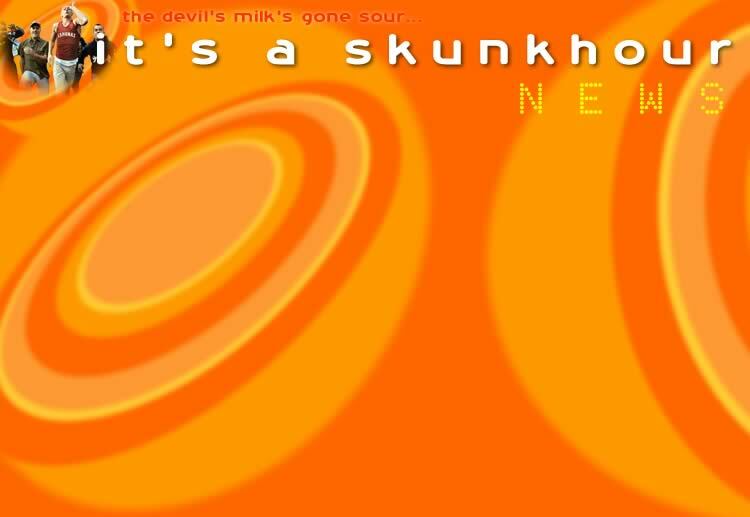 I was hoping I could say Skunkhour made it into Triple J's Hottest 100, but it wasn't meant to be.....anyway, the split was amicable, and they're looking forward to pursuing new musical projects (some are underway already) in 2002. Why did they break up? There were various contributing factors; a major one being a lack of support from their record company. If you have something you'd like to say to Skunkhour, send it to itsaskunkhour@hotmail.com - there's a page here with a few messages (yes, they check the site out, so they're bound to read them). I'll keep you posted regarding the solo projects...it should all be happening soon for some of them... that's all I'm gonna say at this stage so stay tuned!! Meanwhile, Sydney ppl might be able to catch Aya performing at the Civic Hotel on Saturday nights from 11pm (I think).